Turn Key and NO FLOOD INSURANCE!!! This beautifully updated and meticulously maintained colonial at the end of a quiet and friendly cul de sac in the Live Oaks area awaits you. 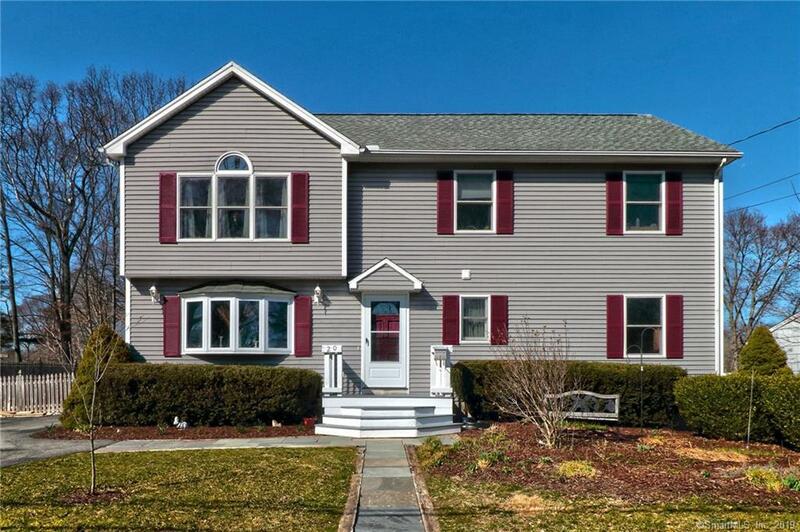 Enjoy walking your kids to near by schools or stroll down to gorgeous Woodmont and West Haven Beaches. This home does not need anything, and is ready for you to move in and enjoy your views of Oyster River. This diamond of a house is finished with hard wood doors, natural casings, freshly finished hard wood floors, and granite countertops throughout!! Newly updated kitchen with stainless steal appliances invites you to prepare meals and entertain guests. The master suite with double vanities and walk in closet is waiting to tuck you in at night. Enjoy some leisure time making drinks at the bar in the partially finished basement(MANCAVE!!!!!) or watching the game on your BIG SCREEN while shooting a game of pool(table and TV not included). Take it outdoors too!!! to the gigantic deck with room for anything you'd want to do or bring it to the fire ring to roast some marshmallows and enjoy the beautiful summer nights!!! Let the dogs run around in this fully fenced yard, while the kids fish in the back and you relax in your new beautiful HOME. This 4 bedroom, 3 full bath home is pure living, the only thing left to do is make an appointment for a private showing. This home and neighborhood will sell itself!!!! Houses like this dont last long! Copyright © 2019 SmartMLS, Inc. All rights reserved. All information provided by the listing agent/broker is deemed reliable but is not guaranteed and should be independently verified. Information being provided is for consumers' personal, non-commercial use and may not be used for any purpose other than to identify prospective properties consumers may be interested in purchasing. Information last updated on 2019-04-23.